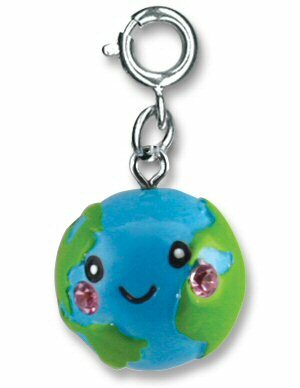 Show your support for all things earth friendly and your desire for a happy planet with this adorable CHARM IT! Happy World Charm. With sparkly pink stone cheeks and a sweet smiling face, this delightful Happy World charm is covered in green and blue enamel and adds 3-dimensional fun and personality to your charm bracelets. With a simple snap of a clasp, girls can personalize their CHARM IT! jewelry with this CHARM IT! Happy World charm. A positive outlook is always on the horizon with this enchanting CHARM IT! Glitter Rainbow charm.